Are you looking for a roofer? 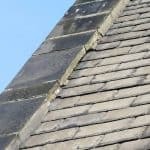 Are you looking for a roofer in Leeds? Then look no further than Leeds Roofs and our top roofers. Since we were established over 20 years ago, we have been providing a complete roofing package across the Leeds area, from Morley to Headingley, Hunslet and Garforth, ensuring roofs stand up to the weather conditions. We have developed a team of local roofers who understand the area and are fully trained to the highest levels. Unfortunately, there is a stigma of the cowboy builder especially with roofers, but we can ensure we are not cowboy roofers, so much so that last year we were on the hit BBC One show ‘Cowboy Builders’ repairing a roof for a family who had been left in a predicament. We were chosen by the BBC because we are reliable and offer the complete customer satisfaction service. So what other reasons are there for choosing our package? 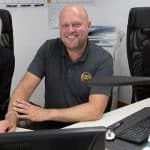 Well unlike other roofers who may only specialise in certain areas of the industry, such as repairs, new builds or damp, our expertise sit across many different facets of the business. We constantly strive to develop our workforce, so all our Leeds roofers are trained in multiple skills. This means that we can deal with your jobs quicker and you do not have to wait for the specific person to be free before getting your work completed. 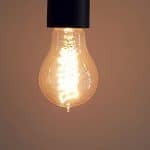 Other reasons include higher base knowledge and experience, as well as a larger workforce. This ensures jobs that could take a few weeks to complete are done faster. We also believe in going that extra mile and our surveyors will always check multiple issues should you have a problem, so that when the roof is repaired, you know it is safe for years, rather than until the next rain storm. If all this is not enough to convince you of our skills, then why not see what the general public think of our quality, and check out our testimonials page. 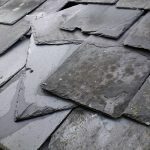 Living with a roof that&#146s not doing its job properly can be a big problem and you need someone to trust to fix the issue. Look no further than Leeds Roofs and call our Leeds roofers on 0113 335 0043.